Pain in childbirth: result of the Fall or fear? This week’s feedback comes from a keen reader of Creation magazine, RL, a licensed Christian midwife from Canada. She takes issue with our Creation for Kids section in 30(2), about the claim that pain in childbirth is a consequence of God’s curse on Eve (Genesis 3:16) after the Fall. Her letter is published in full, then with point-by-point responses. When God gave Adam & Eve their consequences after the Fall, He used the same Hebrew word for each of them (etsev). If God gave Eve pain in childbearing, then He gave Adam pain in tilling. If He gave Adam hard work and sorrow, then He gave Eve hard work and sorrow. The difference in interpretation comes from the cultural influence of the translators. This is serious because teaching women that they must have pain creates fear, and fear causes tension, which causes pain. Many women do in fact give birth without fear and pain. Christians should be the first to be able to trust God’s design. Adam’s sorrow is felt by the scientist and the surgeon who have never worked a garden; they deal with the results of a fallen world everyday. Eve’s sorrow is felt by women who give birth without pain; they are reminded each day that they bring children into a fallen world. For a comprehensive study, Natural Childbirth and the Family, Helen Wessel. Thanks again for such a great resource! I greatly appreciate Creation magazine! Thanks for helping us have truthful answers that can be given with love and meekness. Thank you for your generous comments. We are glad you find it helpful. As a Christian midwife, I would like to point out a serious error in V.30, No.2 (Creation for Kids), which says that Eve ‘would have great pain in child-bearing.’ When God gave Adam & Eve their consequences after the Fall, He used the same Hebrew word for each of them (etsev). If God gave Eve pain in childbearing, then He gave Adam pain in tilling. If He gave Adam hard work and sorrow, then He gave Eve hard work and sorrow. I will surely multiply your pain/sorrow in childbearing; in pain you shall bring forth children. The second ‘pain’ in the passage uses עצב ‘etsev, but the first uses a related word עצבון ‘ itstsevôn. ‘Itstsevôn is the one that’s also used of the consequences for Adam. Hard labour in tilling the ground can be painful, especially to someone not used to it. But with Eve, both related words are used, as an emphatic device that’s common in biblical Hebrew, indicating something stronger. The difference in interpretation comes from the cultural influence of the translators. 16. To the woman He said: I will increase very greatly thy pain and thy conception; in pain thou shalt bring forth children; unto thy husband thou shalt be attracted, and he shall rule over thee. It shall yield produce, but the winning of it shall always be attended by ‘itstsebhôn, ‘misery,’ ‘toil,’ ‘sorrow.’ The former ease of tilling the soil shall be a thing of the past. On no place of the earth’s surface can such toil be evaded. In some places there may be more of it, in others less, but ‘toil’ is the common lot of man. The immediate cause for this is the fact that ‘the ground is cursed.’ A divine word blighted its fruitfulness. There was a deep reason and a necessity for that. It was no longer fitting that an imperfect man dwell in the midst of a perfect dwelling place. Divine pedagogy makes the outward circumstances correspond to the inward state, so that man might the more keenly feel his wretchedness. It’s somewhat difficult to blame this on ‘cultural influence’, since the reasoning is based on biblical teachings, as will be shown below. A woman giving birth to a child has pain (lupē) because her time has come; but when her baby is born she forgets the anguish because of her joy that a child is born into the world. Jesus accepted the fact that women giving birth suffer pain and anguish, and didn’t blame it on fear. There are other biblical teachings that also accept as a given that childbirth is painful, not just for fearful women. Notice that Jesus accepted the fact that women giving birth suffer pain and anguish, and didn’t blame it on fear. Importantly, He said this was something that occurred during the birth process and was soon over. This rules out the idea that the ‘pain’ being referred to is ongoing sorrow because of the fallen world they are bringing their children into. There are other biblical teachings that also accept as a given that childbirth is generally painful, not just for fearful women. Once again, the pain that caused her to cry out was due to childbirth, not to fear. Here, the word for suffering pain is βασανίζω basanizō, which is also used for the torments in Hell. Childbirth pain is also used as a simile for agony. I see no hint that God’s Prophet considered that childbirth agony was only in her mind. Figurative language, such as simile and metaphor, is still important, because underlying the figure is a reality. For example, the expression ‘as strong as an ox’ is figurative, but behind this figure is the reality that an ox is strong. So using birth pangs figuratively for other agonies and troubles shows that there is an underlying reality of pain in childbirth. This is serious because teaching women that they must have pain creates fear, and fear causes tension, which causes pain. But as above, the Bible teaches several times that pain in childbirth is to be expected, and is used figuratively to epitomize pain. If a woman in labour is administered pain medication for the labour pains, she cannot be experiencing purely fear-induced pain when it wears off. If it were fear-induced, then the pain would return only after the woman rediscovered her fear upon awakening. Whereas I was knocked out during the 24+ hour protracted labour with my son, and I assure you it was the pain that woke me each time the meds wore off. I had no reason to wake up in fear (drugged sleep=no fear). Also, extreme pain can be an indicator of an underlying problem. If a woman is led to believe that the pain is all in her head, she might incorrectly ignore God-given pain signals, especially as pain tolerance level is relative. If I had believed that all the pain related to my own labour was purely fear-induced, then my son would not be here today, and I might not be either, because severe pain prompted the doctors to an immediate, responsive reaction. Many women do in fact give birth without fear and pain. Whether that is due to anesthesia, or the exceptional cases referred to earlier, it is always a blessing. But as indicated, I would gently reject the inevitable ‘fear-pain’ linkage. Christians should be the first to be able to trust God’s design. 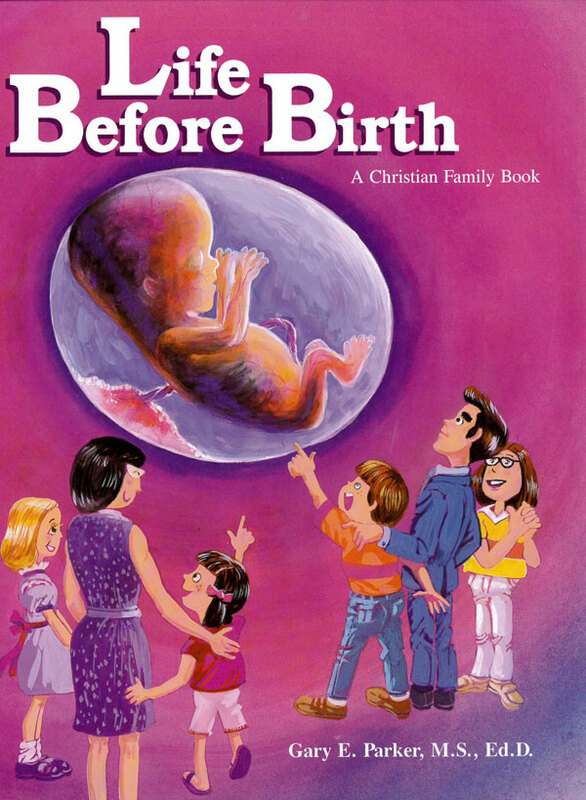 Yes, and God’s design of pregnancy and childbirth is beautifully and powerfully demonstrated in the DVD below. But Christians should also be the first to realize the limitations imposed by the Fall. Otherwise, by neglecting this aspect of biblical teaching, we might reason that we should never use vaccination or antibiotics, because we should instead ‘trust God’s design of the immune system.’ Also, should we trust that the appendix will always recover from appendicitis without removal? There is a biblical principle that it’s a blessing to alleviate aspects of the Curse. That’s why Jesus healed sicknesses and disabilities…and this also motivated James Simpson to develop anesthesia for childbirth pain, to alleviate this aspect of the Curse. Also, there is a biblical principle that it’s a blessing to alleviate aspects of the Curse. That’s why Jesus healed sicknesses and disabilities, raised the dead, and praised the Good Samaritan for taking care of a badly beaten traveller. Similarly, biblically-based compassion for those afflicted by effects of the Curse has motivated the founding of orphanages and hospitals, and the abolition of slavery. This principle also motivated James Simpson to develop anesthesia for childbirth pain, to alleviate this aspect of the Curse. He also argued that anesthesia can’t be wrong, since God used it to make Eve from Adam’s rib. His most famous patient was Queen Victoria herself, who was so grateful for what she called ‘blessed chloroform’. Of course, CMI can’t take sides on such matters outside our mandate, which is defending biblical authority, especially about creation by the Triune God. We neither support nor oppose various approaches to childbirth. I read an alternative perspective from a mother who didn’t think that she had to go through the ‘wonderful experience of natural childbirth’ that was allegedly necessary to be a complete woman. Rather, she said that her object was a healthy child; childbirth was merely a means to this end, regardless of how it was accomplished. Bodily functions and blue eyes in the pre-Fall world? James Carlisle, Labor’s pain still severe—survey, Edmonton Journal, section D, 14 October 1985. Return to text. Mary Kassian, Women, Creation and the Fall, p. 25, Crossway, Westchester, Illinois, 1990. Return to text. External physical stimuli can sometimes be blocked from causing a conscious pain sensation by a process akin to self-hypnosis, as a recent report of painfree major surgery while a person was awake attests. But this is different from the suggestion that pain during an operation, for example, is invariably due to anxiety and not the surgeon’s knife. Return to text. Though recent studies suggest that episiotomy is not necessarily a wise course of action. Return to text.